Inspired by the early aircraft during the second world war, India base designer, Chetan Sorab, has an innovative concept dubbed Hangar for clothes hanger. Yes, it takes the 2D shape of an airplane complete with the tail suitable for hanging your tie on it. 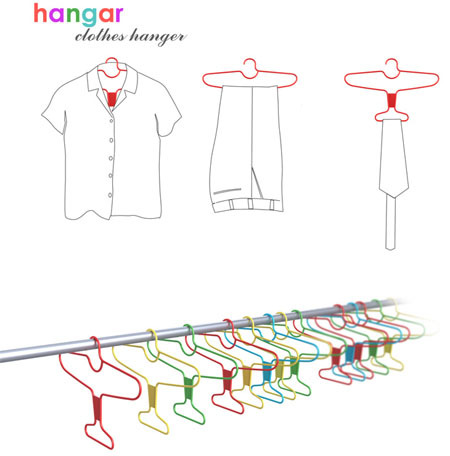 Hangar concept not only provides core function as the clothes hangers, but also sense of fun for kids at home. 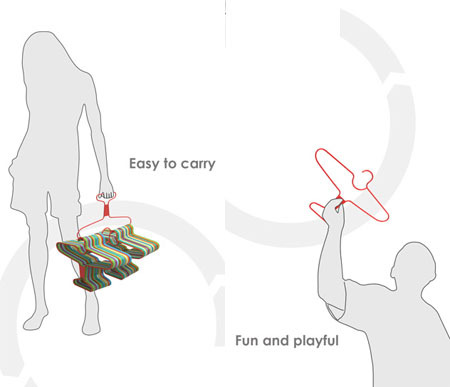 Carrying the Hangar is easy as the tail forms an ergonomic handle to hook on the hangers. 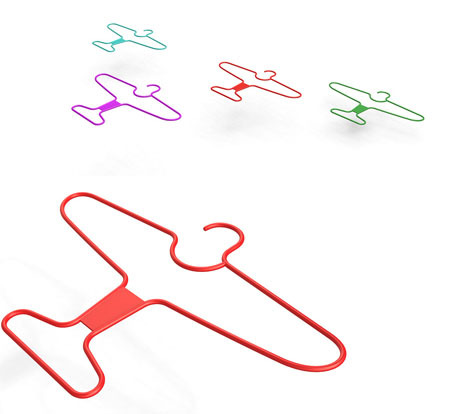 Chetan Sorab is seeking manufacturer for his Hangar concept, do you think the concept would become the next hot selling item in near future? Keep up the good work Sorab! I like it. Good luck with this !